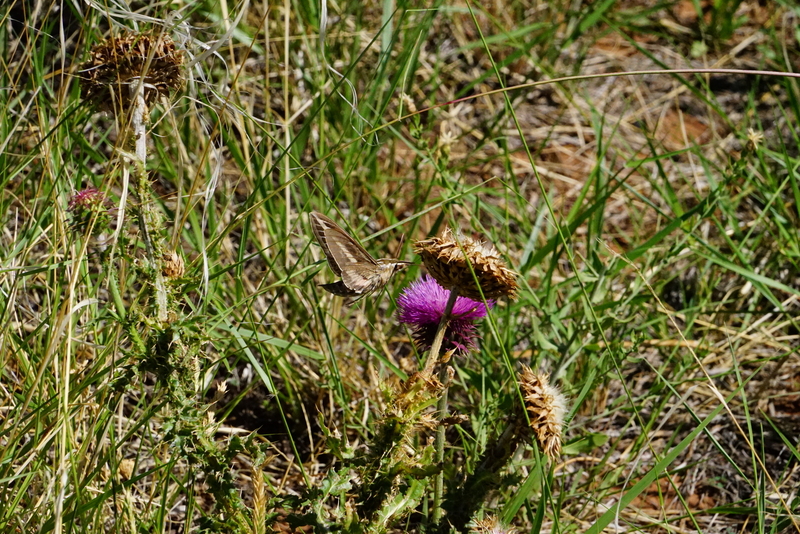 ‘Canyon de Chelly’ — The Hummingbird & The Thistle. It is hard to see because it is brown and blends in with the dried grass. Right in the middle of the picture, to the left of the bright purple thistle. This was on the North Rim. At the turn-off to the Massacre Cave & Mummy Cave Overlooks. It looked like a BIG insect at first until I got a good look.